Lil’ Dragons is a programme specifically designed for the needs of 4-6 year olds. Originally written by Martial Arts instructor and child psychologist Kimber Hill, it has grown to become one of the most popular and successful children’s programmes in the world. 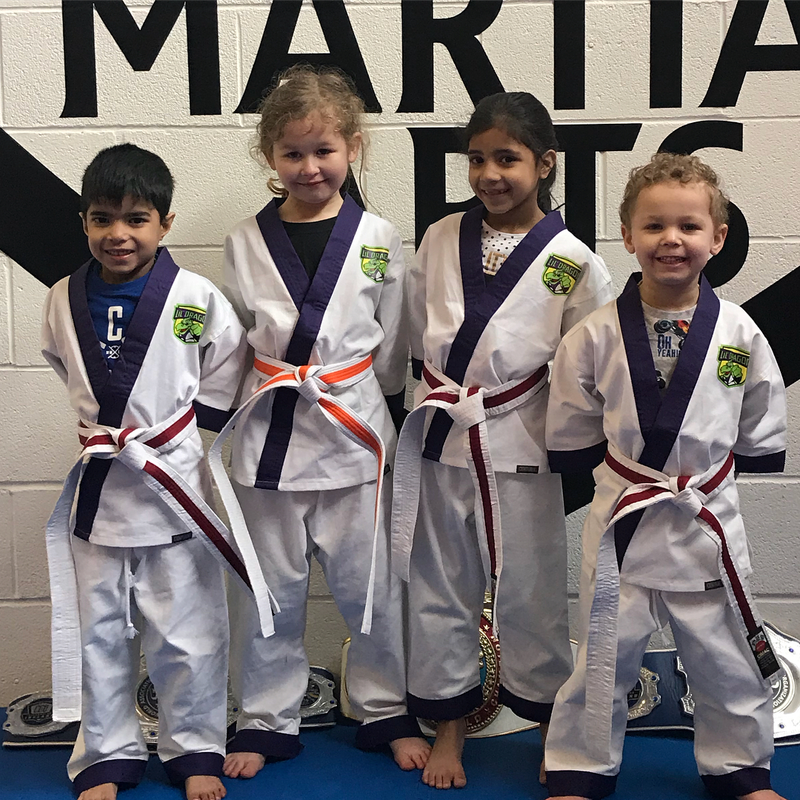 The Lil’ Dragons syllabus gives each child a balanced blend of basic martial arts training along with an education in life skills and safety skills. Exercise is an important part of any child’s growth, the Lil’ Dragons class will help your child to increase their level of fitness. The Lil’ Dragons class will assist your child in developing their concentration and focus. Lil’ Dragons classes are structured to provide a learning experience which is both fun and safe. The programme improves performance across a range of physical and intellectual skills without becoming too difficult or daunting for their age range. Lessons are an enjoyable mix of martial arts, games and discussion time. Students are graded every eight weeks and awarded different coloured belts for each grading, providing a continual motivation and a sense of achievement.